→DeWalt DWS709 vs DWS780: Which One To Choose? DeWalt has been a prominent brand name for many years. They are coming up with a multitude of tools, every year in order to make the lives of the woodworkers easier. These yellow tools are the first choice of the contractor because of their reputation for performance and durability. Therefore, it is only obvious that you, as a DeWalt customer have chosen this brand. However if two tools are from the Dewalt brand, it becomes confusing and challenging to choose one of them. Today we are going to differentiate between DeWalt DWS709 vs DeWalt DWS780 to find out which is the best for your needs. The DWS709 is a basic miter saw which can slice through moldings upto 5.5 inches tall. However, these moldings should either be placed diagonally or in a nested manner. If they are placed vertically, it can handle upto 4.5 inches. In case if you want to cut something else other than wood (like aluminum or plastic), you can change the blade. The fences can be slid out for the bevel cuts so that they can make 2*14 lumber cuts at 90° and 2*10 lumber cuts at 45°. The miter plate of the saw has the ability to make 13 stops, with commonly used angles. The setup is not so ideal for people who move from one site to another. The dust collection system for the saw is a mere bag, which can be used to connect the saw to the vacuum through a port. If you're an average user who is just looking for something workable for your DIY project and don't need the advanced features, then you can go with the Dewalt DWS709. DWS780 comes with a XPS LED light which can guide you with the cut alignments. Using the light, you can cast a shadow of the blade so that there won't be any injuries. The system, therefore will not need any recalibration like the usual laser guides. For the adjustment of the bevel, it has an angle of 45° for both right and left, which is why you don't have to flip the materials in case if you want to use both angles on the same piece. Just like DWS709, it has a dust collection system which comes in the form of a dust bag. However, it has a beveled handle which is suitable for quick releases. The dust bag has the ability to collect the dust formed by side and chop action. There are a few differences between the two in terms of usability, performance and their structure. So let's discuss them as they impact your decision on choosing one. Both of them can be used to make accurate cuts, given their excellent ability. But, DWS780 is a relatively better saw because of the additional XPS guidance system only when you don't want to spend a nifty amount of cash. Other than that, both the saws are dependable for DIY and semi-professional jobs. There are a set of users who find that DWS780 can make better-angled cuts, because of the LED guiding system. When paired with the XPS, it can deliver extraordinary outputs. While there are so many similarities between the both, how would anyone choose between DeWalt’s DWS709 and DWS780? Well, the answer is straightforward. Its versatility vs budget, given how they have the same physical and mechanical properties. If you're looking for something which goes on the DIY project, you might want to get a tool which has the ability to be proficient. Considering you as someone whose skill set falls between a DIYer and a professional woodworker, whose livelihood demands more than just the basic miter cuts, then you might want to go with the Dewalt DWS780 since it's a little bit more advanced. The DWS709 is heavier and larger when compared to DWS780. 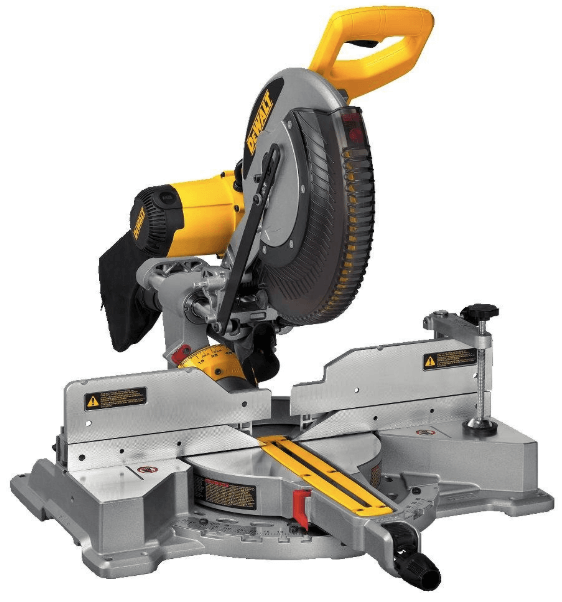 Therefore, if you want to carry the saw around while lugging it with you, then you should go with DWS780. However, DWS709 is best suitable when your workshop is cramped with every square foot of the projects. At last, if the price is one of those factors that you're considering in order to choose between DWS780 and DWS709. Home users prefer to pay less when they are buying tools for DIY projects. While they have the scope to spend more, they don't want to spill additional bucks for just making clean and simple miter cuts. DWS709 is about 2/3rd of DWS780 price and is actually cheaper by a hundred bucks. While it is an incentive if you’re not considered about the versatility, both of them have the same motor. Based on the purpose and the preference, you can go with the one you want. A lot of times, we decide that one product is better only to realize that the other one actually is. This is not true in this case. The two products DeWalt DWS709 and DeWalt DWS780 are from the same manufacturer and you won't be able to mind major differences because of it. They have the same motor and they perform equally well when it comes to the bevel and miter cuts. The question thus narrows down to the versatility. As DWS780 is able to perform angle cuts; it is considered as a better choice. 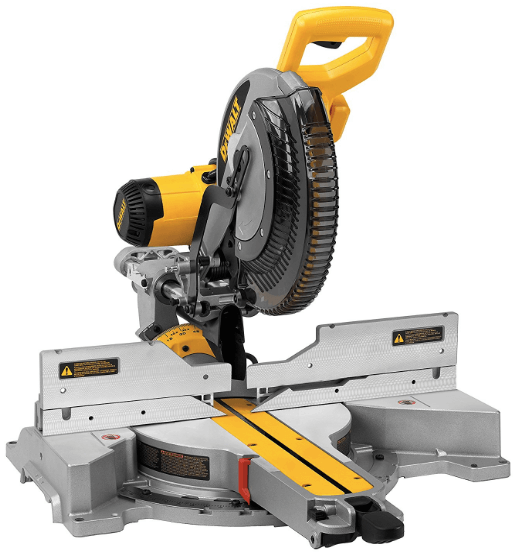 It can cater all of your needs which dictate that you need a miter saw with more adaptability. But if you're looking at them through the price paradigm, DWS709 is better!